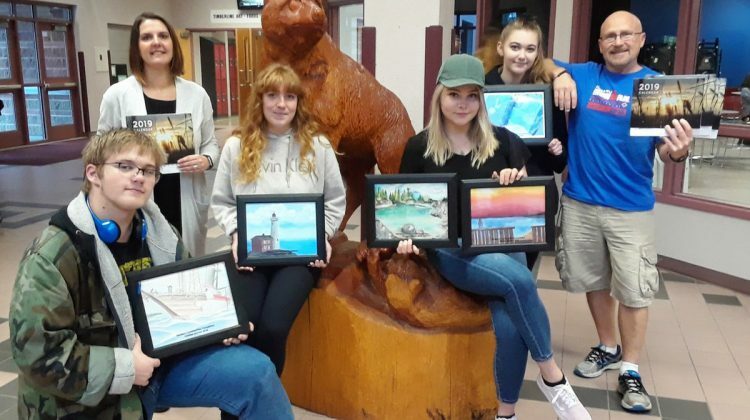 Five Timberline Secondary students won an art competition. Their pieces will be featured in the Western Communities Foundation's 2019 calendar. Photo courtesy of School District 72. CAMPBELL RIVER, B.C. 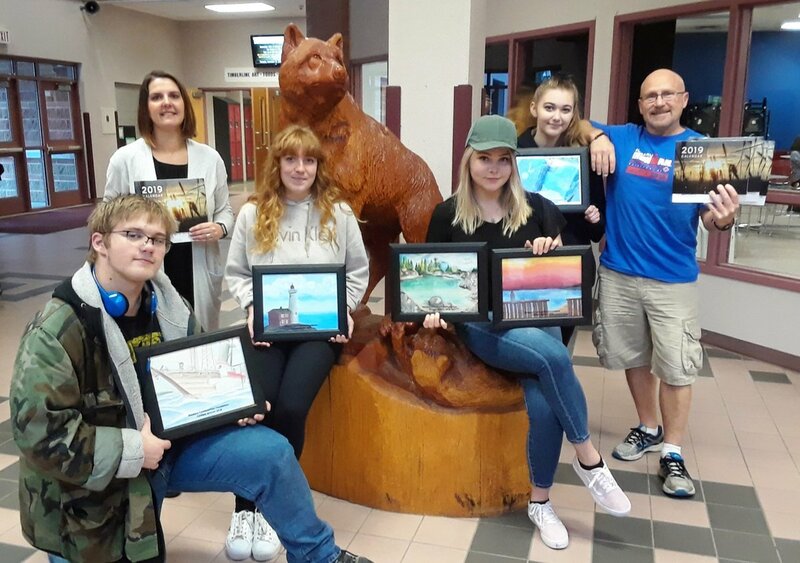 – Five Timberline Secondary students are among 12 winners of an art contest. The contest winners are Brianna Maier, Josh Wouters, Faith Adamo, Zara Gordon and Malawi Simo. The contest was run by the Western Communities Foundation (WCF), Western Financial Group’s (WFG) youth charity. The contest recognized 12 powerful art pieces conceptualized by students across Canada. The winning art pieces will be featured in the WCF 2019 calendar. According to a release form WFG, the art contest aims to encourage students’ creative passion and boost their confidence through visual arts. The contest’s theme was “Through My Eyes,” with students drawing inspiration from their communities. Each of the winners will receive five calendars and a framed print of their piece. According to the release, Timberline will have the calendar displayed in each classroom.